If you missed last night's VH1 Hip Honors, then you missed out!! This was one of the greatest Hip Honors shows that has ever been shown. Last night's show honored the females of the hip hop industry, including Queen Latifah, Lil Kim, Missy Elliot, Salt n Peppa and Spinderella. Everybody had some pretty amazing tributes and the show overall was just BOMB! During Lil Kim's tribute at the end of the show, she performed herself and did a few of hits. Now of course we could have been looking at Kim sideways for her performance, however, she gets a pass cause she is the Queen Bee (hopefully she practices more before the tour though) of course. 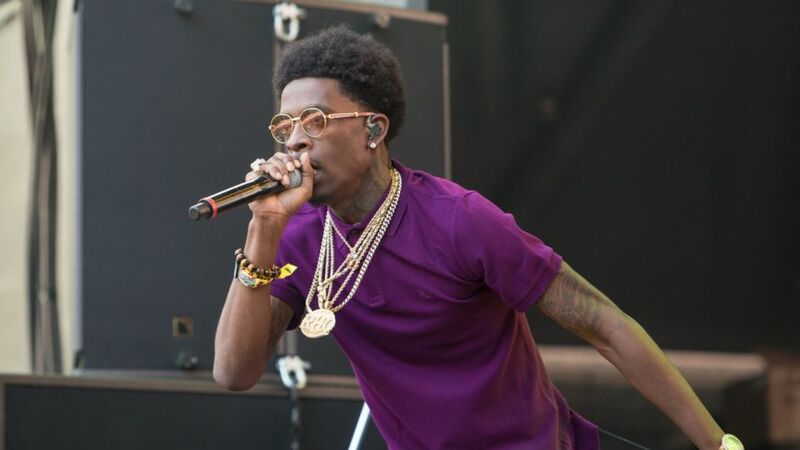 Now the person who does not get a pass is Rich Homie Quan. Kim decided to bring out the rapper to perform "Get Money" with her and to rap Biggie's part and lets just say that was an epic fail. Rich Homie Quan had one job.... just one, and that was to at least study up on the lyrics so that he could kill this performance. I mean you can't just disrespect B.I.G like that.... this is a legendary song for crying out loud. Soon as everybody realized that Quan didn't know the words, the internet and social media world went into a frenzy. Well apparently the backlash and slander was enough for Rich Homie and he ended up apologizing via his Instagram page. He says that he "never intended on disrespecting Biggie Smalls". He went on to apologize to the fans, the hip hop industry and even New York. Even though the damage is done, it was good that he could admit to his wrongs and apologize for it. Next time, if you're ever presented with a major opportunity like that, make sure that you're READY. Check out the apology below, along with the video of what he is apologizing for.